Welcome! We are a Pittsburgh-based, next generation information technology solutions company dedicated to bringing innovative, effective and powerful applications to our customers. SciencEngines is a human resource centric company of professionals that bring creativity, experience and expertise to IT problem solving. Below is a list of our products and services. In today's environment, products are constantly evolving to meet innovative and sophisticated demands. We are always exploring new and innovative ideas that foster credibility, knowledge and interaction. Together, we can propel your organization into the future. 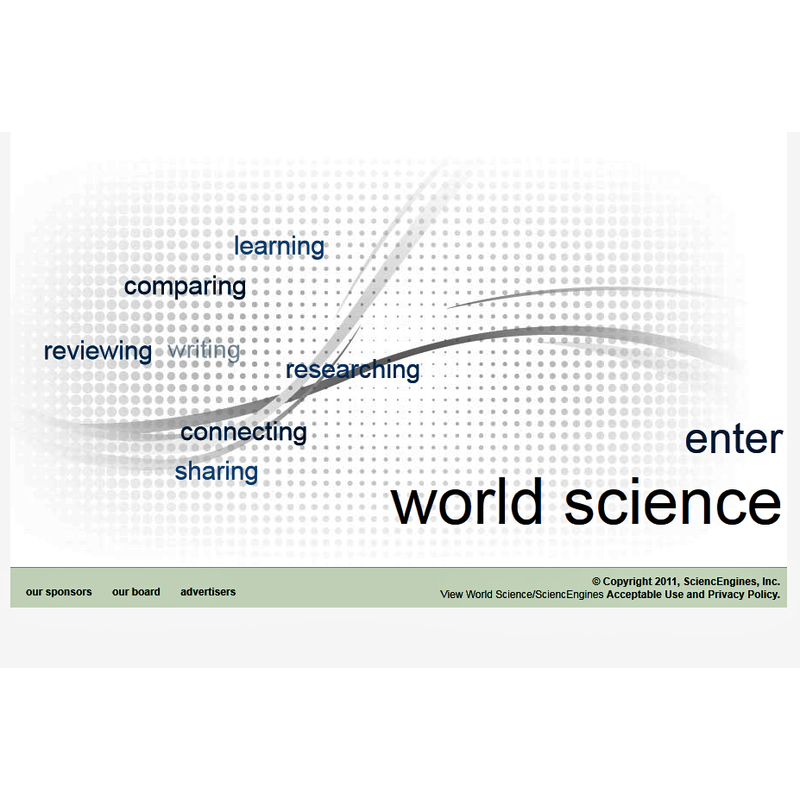 World Science is a web-based platform that allows multiple scientific authors to collaberate on a manuscript at a centralized location. This allows a more focused way for authors to read and update manuscripts separately or simultaneously if desired, and allows users to ask questions about different points in the paper. Proof is a web-based platform that assists every person involved in the scientific process, whether for the goal of journal article publication or for use in a corporate or institutional environment. Proof was created to revolutionalize scientific information exchange and use. As mobile technologies are becoming increasingly ubiquitous and powerful, it's time for your organization to become untethered. Explore oppurtunities from increasing the mobility of your Sales team, to complementing your organization's services with a mobile application for customers. Mapping tools provide location, routing and other information for your offices. Support services such as travel planning for your customers, or for your Sales department's next conference visit. Enable superior logistics through improved customer services and delivery planning. Mapping also allows for spatiotemporal market research. SciencEngines develops web presence that impresses for your organization. Employ interactive web content to engage your customers and provide convenience with features such as online ordering, interactive catalogs, and online customer service. Develop an intranet within your organization to support collaboration and information sharing amongst employees. Incorporate your customers into your business processes. Harness social networking that delivers using services like Twitter and Facebook to better reach your cusomters. Virtual environments are the pinnacle of immersive interaction with your clients. Harness the power of this marketing strategy with 3D models of showrooms, manufacturing facilities, and production processes. Virtual environments bring your organization to your clients from anywhere. Other applications include interactive training, safety training, sales development, and virtual demonstrations. SciencEngines provides knowledge management solutions that help your organization leverage their data. Processes such as data mining, capture of expert knowledge, and quality management are amongst the services that can propel your organization forward. Data visualization affords your organization quick processing of complex data sets. Through the use of dashboards, interactive data displays, and data fusion, your organization's data can be presented effectively and decisions made efficiently.